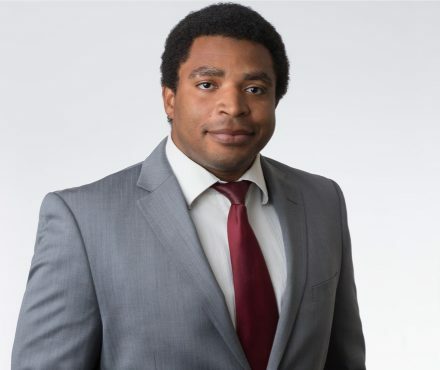 Born in Haiti and raised in New Westminster, BC, Paul Kennedy is an associate lawyer in Lindsay Kenney’s Langley office. Paul was called to the Bar of British Columbia in 2011 after obtaining law degrees from both the University of Windsor law school and the University of Detroit Mercy School of Law in 2010. Paul joined the firm in 2011 after articling at a boutique tax law firm in Vancouver. Paul’s practice is focused primarily on corporate and commercial law, mergers and acquisitions, residential and commercial real estate matters, and secured transactions. Paul acts for purchasers and vendors in the purchase and sale of corporate assets or shares, and advises clients on the formation and structuring of incorporations and partnerships. He frequently drafts and negotiates all manner of corporate commercial contracts and assists with implementing business succession and tax planning mechanisms such as estate freezes and other corporate reorganizations. In the area of real estate, Paul acts for clients regarding the purchase and sale of real property and related financing matters. He is involved in drafting, negotiating, and advising on commercial leases. Paul’s real estate experience includes residential conveyances, advising on strata bylaw issues and municipal bylaw issues, assisting in small to medium sized subdivision and development (both commercial and residential), and acting for purchasers and vendors of multi-million dollar commercial real estate. Outside of his practice, Paul is an avid sports enthusiast and a year-round hockey player who spends time golfing, hiking and camping. He is an assistant coach for his son’s minor league hockey team and relishes the opportunity to continue the tradition of early morning practices.